Battle of Boquerón Day, also known as Victory at Boquerón Day (Victoria de Boquerón), is a Paraguayan public holiday celebrated on September 29. It commemorates one the most important battles of the Chaco War. The Chaco War was fought between Paraguay and Bolivia from 1932 to 1935. Both countries wanted to seize control over Chaco Boreal (the northern part of the Gran Chaco region), which was thought to have rich oil deposits. The Battle of Boquerón lasted from September 7 to September 29, 1932. It was the war's first major battle. Bolivian troops occupied the outpost of Boquerón in July 1932, and Paraguay launched an offensive, aiming to capture Boquerón and prevent the Bolivian Army from fully mobilizing its resources. The Bolivians repulsed the first Paraguayan assault. However, soon they started to suffer from the lack of fresh water. The shortage of water supply, food, medicine, and ammunition weakened them. Seeing this, the Paraguayans launched an all-or-nothing attack. On September 29, 1923, the Bolivians surrendered. 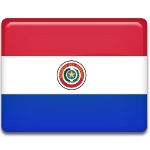 Battle of Boquerón Day is a national holiday in Paraguay. It is marked with festive events and activities across the country. All schools, establishments, and businesses are closed for the day.